Raptor Grille Lights - WHERE ? Discussion in 'Exterior' started by Scrambler82, Jan 17, 2013. 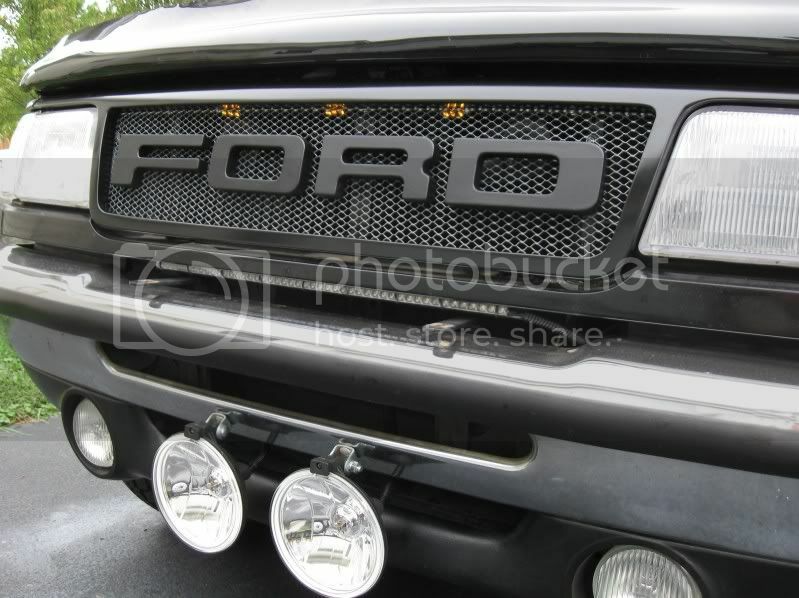 Has anyone found a replacement for the Raptor Grille Light that will fit the smaller Ranger Grille ? Ford want BIG, BIG, money for them and they might be too big for the Ranger. I have an idea for grille LEDs and some semi-Raptor Lettering but finding the LEDs is a PITA, nothing small enough. I am thinking approximately ½”H x ¾”L max, ⅜”H x ½” L is even better. I anyone has an idea where to locate them for sure, please post up here on the site. I have located some ½” round LEDs that will have to work for the three grille lights (touch of Raptor). 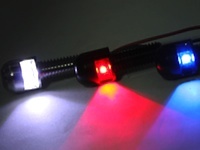 Located them on Oznium.com, they have a lot of LED Lighting that can be used on 12V applications. This pic is of the 16mm (0.63”) units but I will be using the 11mm (0.49”?) units. Not OEM Raptors but will give a similar effect. 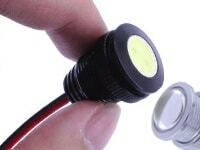 These guys also sell the Aluminum Bolt Lights with side lighting LEDs but with Black Housing. I have not seem them with the black housing. Post some pics once you install them. Of course I modded my own but they worked pretty well... at least until something went haywire & they quit the other day... been too cold to get out & diagnose the problem, but I'm suspecting an unruly squirrel to be the culprit. If I am not prying too much and you are will to give up your secrets what did you do for the lights ? I still think I am going to use the little round ones I am getting but i would like to know. E-Mail if you want… ! Only difference between that and the Ford unit is the electrical connector. I've found the red/clear lense, red/red lense, and amber/amber lense MicroNova's locally at semi-truck shops for around $8-15. Each Raptor lamp has 4 LED's. HOWEVER, they do not fit well into a 01-03 XLT 4x4/Edge honeycomb grille, like I have. I actually have a genuine Raptor grille off a wrecked truck and robbed a lamp from it for fitment. If I could cut them up and still have a good seal, I'd run them on a Ranger, but they are not encased in epoxy...they're just two pieces of plastic glued together. I have found a 2-diode epoxy encased clearance lamp that when cut and the edges trimmed off, fit PERFECTLY inside the hole on a 01-03 XLT 4x4/Edge honeycomb hole. I've seen way too many sad attempts at this mod using some hokie large lamp way behind the grille.....I want mine up in your face, within the grille holes, without shining anything else.....JUST like a Raptor. If I do it. I've got 2 clear lense/amber lamps thus far...just waiting to special order the third. Then a little bit of nightshade to darken them up and hide 'em in the grille. want raptor looking stuff? Get a raptor. cant stand people trying to make one vehicle look like another. cab lights will be way more useful. and look better on a ranger. That's all im gonna say about that. Looked at the lights they look ok and are the right size the 2"x3/4" ones. I still like the round ones posted above but not sure I will use them until I get the Visor in place. Thanks for Grotes... I had forgot about them, I saved their site for future reference. 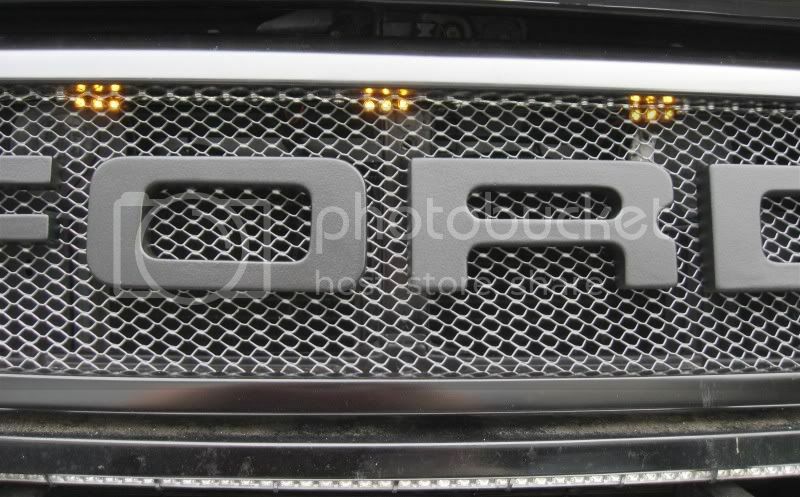 Not trying to actually copy the Raptor Grille Lights just like the look of these lights on the top of the grille. A few posts up I posted a pic of the round ones I am waiting for and not sure i will even use, I am also working on a Lund Windshield Visor (used reworked unit) and I have added newer LED lights to it, so that will be on first then I will decide IF the RAPTOR style grille lights will work or be too much. I still kind of like the two lower bumper side lights, interesting look. I initially was planning on doing the grille lights in substitution to the cab lights on the Lunar Visor, as well as add amber halo LED rings around the front signals. But opted against it because I started to become a Japanese car owner...with too much stuff going on. Just got too tacky for the truck. Neat stand alone items(like JUST the halo rings or JUST the raptor lights or JUST the visor lights). But mixing them all up was a mess. 2" x 3/4" seem WAY too big for the look I was trying to accomplish. I wanted multiple diodes to mimic the Raptor's 4 per lamp. Two per lamp on a Ranger with my grille fit the bill very nicely. About the best suggestion to fill your wants/needs is to spend some money and experiment! EDIT: By the way, your talk of visor lights reminds me....I need to modify my visor mounts and reseal the roof. Not that it's leaking, it's just that my center visor mount is way too high causing a very curved visor. And I need to LED the thing. Five-plus years of the stock 194 incandescents have lived quite some time for me....with not one burn-out. I think it's time to plan for LED's in mine. Don't have something to actually add to the conversation, shut it. It's pretty easy. this is a forum, on the internet. I can voice my opinion as much as I want. As long as I do so respectfully. Which I did. Don't agree with me? that's fine. but there's no need to go around calling people wannabe's just because you disagree with them. 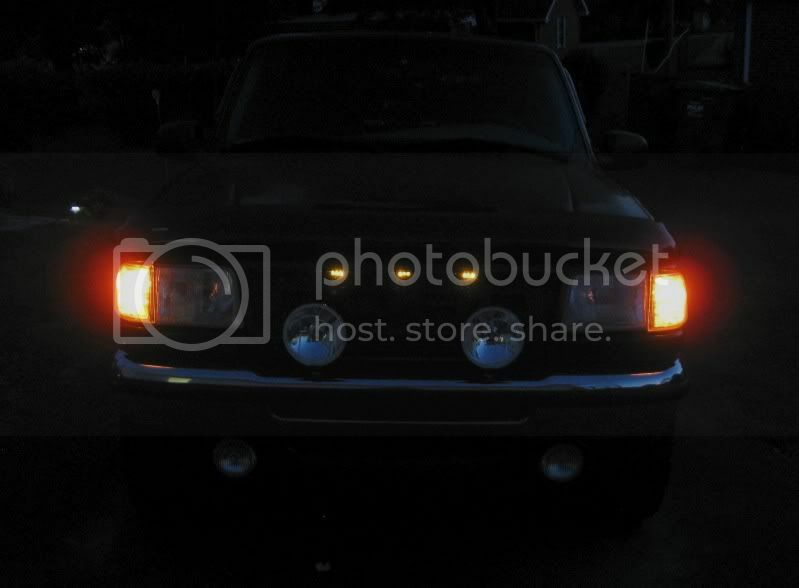 Lets not argue over the proper lighting technics for a Ranger, not worth it. If there is a look for one series of truck and it is accepted to be a good look, there should be no objections to finding a way to adapt it to another series of trucks, IMHO... that is ! I found the Raptor grille Lghts to be one of those accepted good looks and I wanted t do something like it but found the LED Light not available for the proper look unless I do as Buggman did and make my own; that is not happening, so I chose the round ones posted above. That said, in the mean time I got a Windshield Visor, the one with no lights, used off the web cheap, but no lights. Was going to run the unlighted visor with grille lights, should've worked but I found some of the newer low profile LED lights for the new style visors and bought them and now they are mounted to the visor.